Desi Smith Staff photo/Gloucester Daily Times. 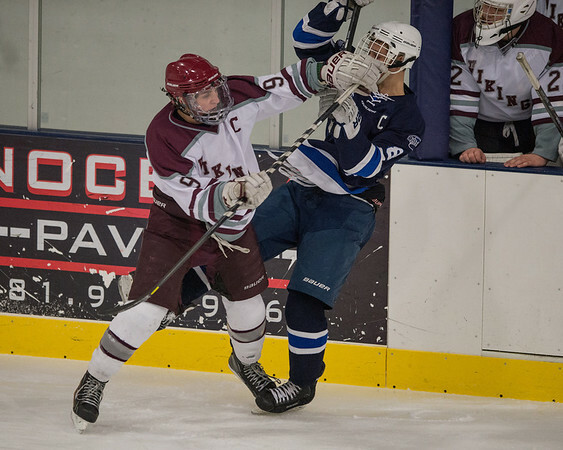 Rockport's Jonathan Ferrante puts a hit on Swampscott's Griffin Hunt in the second period Saturday night at the Dorothy Talbot Rink. February 1,2014.